Kevin Smith has taken to Facebook to announce that production on Clerks III is set for this Spring, with cameras set to roll on the sequel to the 1994 cult classic and its 2006 follow-up in May. Smith also went on to outline his schedule for the next year, as well as hinting at a potential sequel to his sophomore film Mallrats. The sequel was titled Mall Rats: Die Hard in a Mall, but Smith has not confirmed if that will continue to be the title. 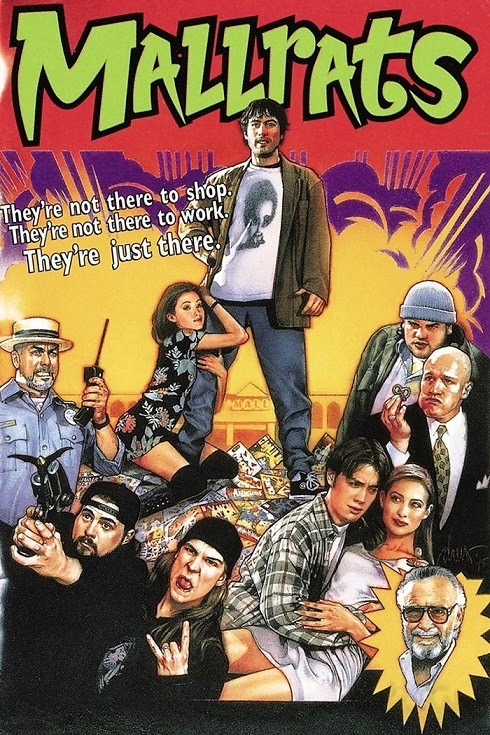 The Mallrats sequel was confirmed in a phone interview Kevin Smith was doing for the upcoming Clerks 3. Smith says there is half a script right now and shooting will begin, hopefully, in May 2016. To hear the interview and Kevin confirm the project check out the audio below.